Lovely and helpful staff and owners. 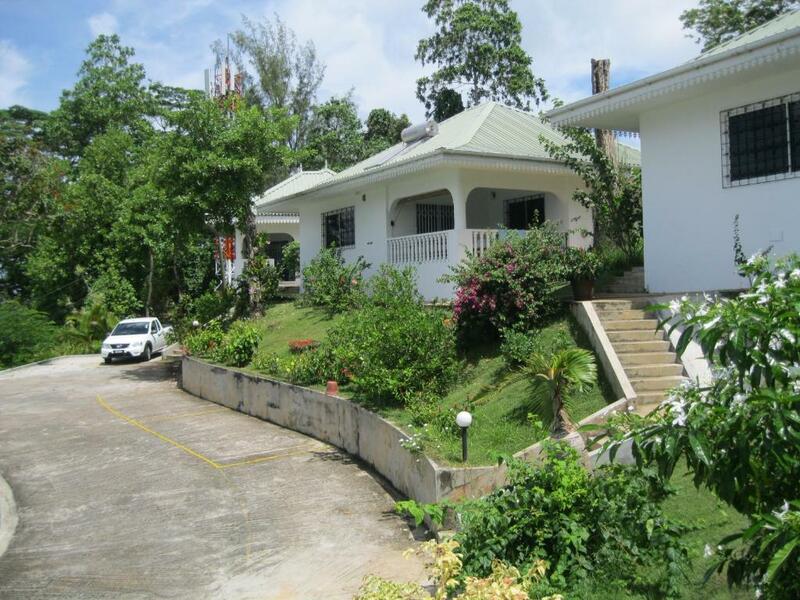 Well maintained property in a beautiful setting, very calm and peaceful. A new chalet is being built but this didn't disturb the peace. Others have commented on the location, advising a 4x4 hire car;whilst a 4x4 is not necessary, you definitely do need a car - it is a pretty steep hike from the main road. The views from the chalets are absolutely gorgeous, and the rooms were clean and very comfortable! 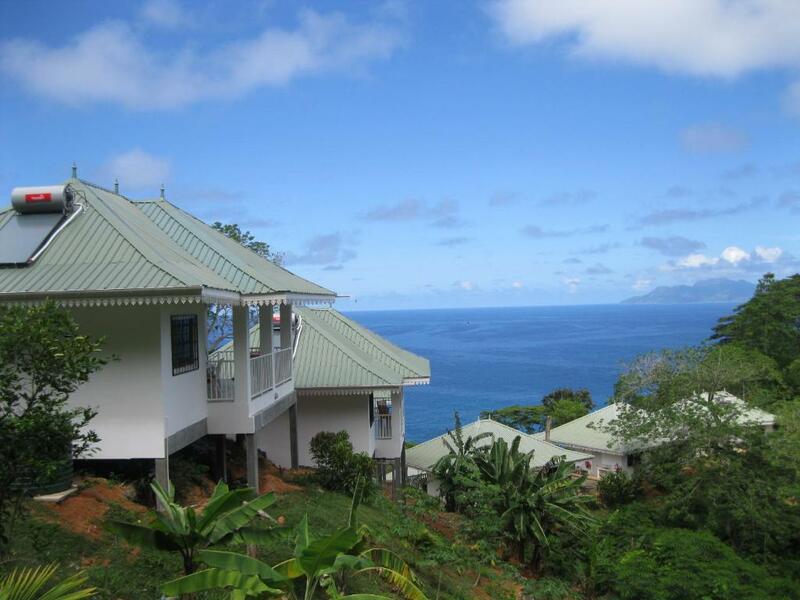 We loved staying here, and would recommend this to anyone who wants a more quiet, private location on Mahé. There is quite a hill to climb from the bus stop to the chalets, but we found the location more than worth it for us anyway--next time, I think we will rent a car to get around. We were accommodated in Chepsted Chalets from 31.3. to 12.4. We chose to book this resort by feeling the relaxing atmosphere shining from the pictures and descriptions in Booking.com. After the time spent there, we have to say the feeling was absolutely true and reality was better than our expectations. Our chalet had a very nice sea view from the terrace, and all the area around was beautiful and the resort was totally calm and relaxing. 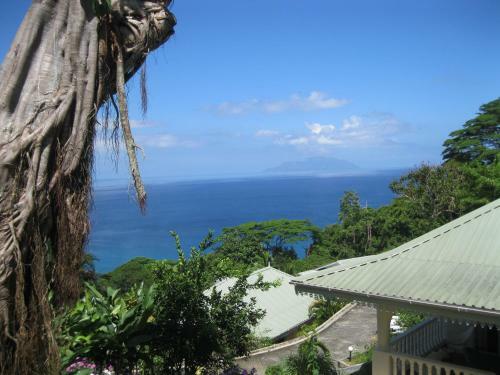 We spend 7 days in house "Raja", the 2-bedroom apartment and enjoyed the beautiful and tranquil garden with it´s exotic birds and a fantastic view of the ocean. The road up to the apartments is very steep, so a car is strongly recommended. The apartment is well equipped with a nice kitchen and sitting area, and we spend plenty of time outside on the terrace, enjoying the atmosphere or having barbeque from the grill. Daily cleaning service is done by a friendly team. 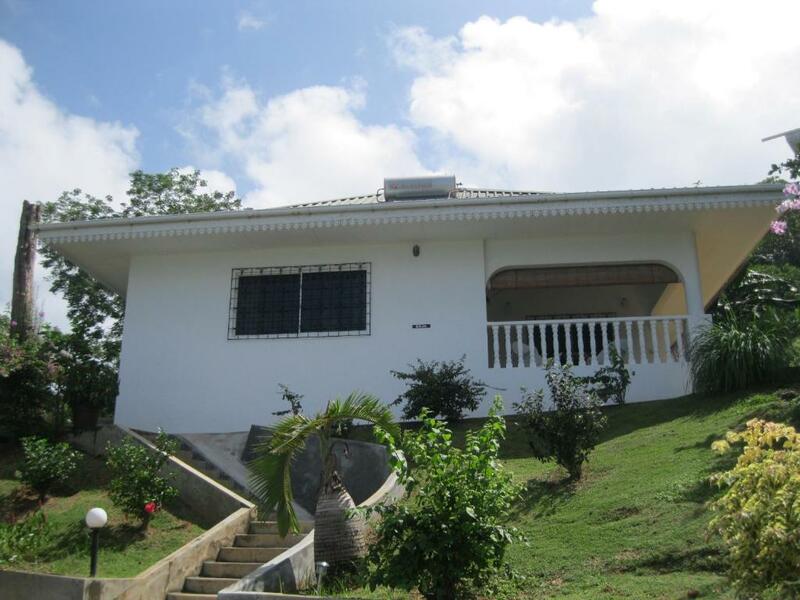 Very close by you will find breathtaking beaches like the sunset beach or tusculum and also a mini market. But the true gem of our stay here was Celeste, the owner of Chepsted Chalets, who lives right next to the guest houses. She made us feel so much at home, offered help and had some surprises for us that we won´t forget. Thank you so much dear Celeste, we had a wonderful stay at your lovely place! The property is stunning. Much more spacious than I imagined, exceptionally neat and clean, and everything is great quality from the furniture to kitchen equipment. Amazing views over the coast from the balcony. And to top it off there was a super generous arrival package of bread, eggs, juice etc and a great selection of fresh tropical fruits. Best choice on this holiday. 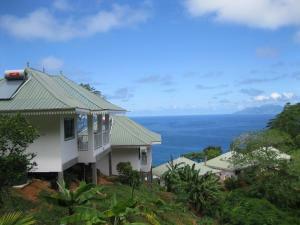 Top side location with view above the ocean and the green. Absolutely quiet (far away from Beau Vallon :). Very modern and big challet, equipped with everything you need. Beaches in the north and the hiking trails are fast to reach. Very friendly stuff. 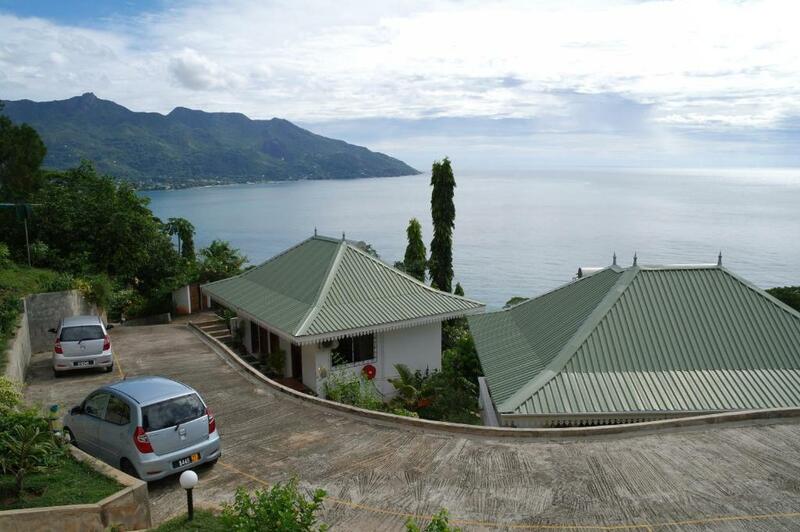 a beautiful view, excellent services, nice garden, welcome package ( including exotic fruits, drinks, toast and eggs... ), a bottle of champagne for New Year, if you simply need something just call Marcella.. The chalet is located high on the hills of Beau Vallon. The view is fantastic! Chepsted Chalets lies on the mountain so it has a wonderful view of the sea and the mountain (but it need a car or a taxi to reach). it is fully equipped as described on the its website (very honest description) . i met their great hospitality and great help for any inquiry . Lock in a great price for Chepsted Chalets – rated 9.1 by recent guests! Featuring panoramic views of the Indian Ocean, Chepsted Chalets offers modern, self-catering chalets with a terrace and outdoor seating. 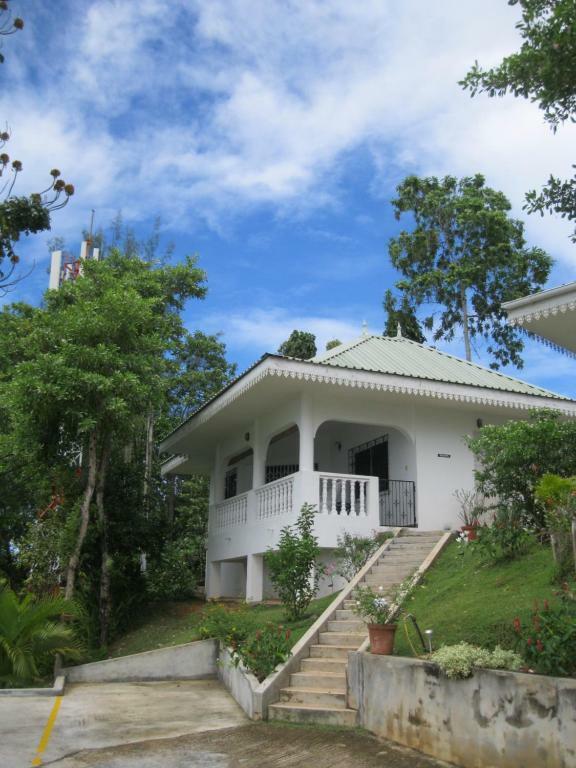 Each chalet offers free Wi-Fi access and private on-site parking. The air-conditioned chalets include an open-plan dining and lounge area with a flat-screen TV. The well-equipped kitchen comes with a stove, oven and microwave. A hairdryer can be found in the private bathroom. Chepsted Chalets is located a 5-minute drive from Beau Vallon Beach and 15 minutes’ drive from the Victoria city center. 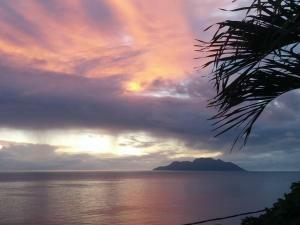 Morne Seychelles National Park is 16 mi away and Seychelles International Aiport is 11 mi away. When would you like to stay at Chepsted Chalets? Featuring a terrace with outdoor seating, this air-conditioned chalet includes an open-plan dining and lounge area with a flat-screen TV. The well-equipped kitchen comes with an oven, stove and microwave. The private bathroom includes a hairdryer and shower. At Chepsted Chalets, we always make our customers feel very welcome and will go the extra mile to make sure they are always comfortable as we will always pay special attention to their every details. The place is so peaceful and they can enjoy the sunset and sunrise from their balcony and capture the moments on their cameras. House Rules Chepsted Chalets takes special requests – add in the next step! Chepsted Chalets accepts these cards and reserves the right to temporarily hold an amount prior to arrival. Please note the reception is not open 24 hours and therefore arrangements need to be made prior to arrival. Please inform Chepsted Chalets of your expected arrival time in advance. You can use the Special Requests box when booking, or contact the property directly using the contact details in your confirmation. Nothing to complain here. If you want to reach the south and west of Mahe it takes a longer time. 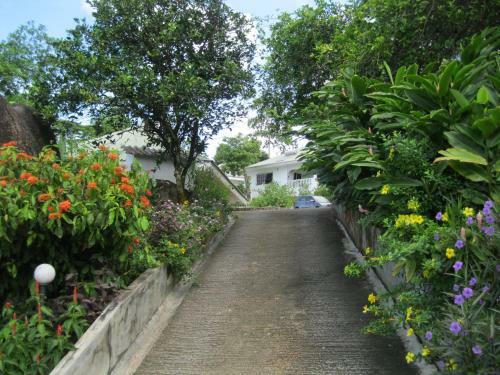 Steep roads to the place, hard to get taxi, staff on holiday. Difficult to check in as mobile telephone did not work upon arrival to the country. 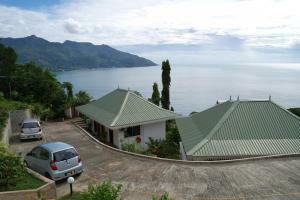 Fantastic ocean view, wonderful plants, tropical garden, nice chalet with barbecue, outside shower. Very nice owner coming with tropical fruits and juice. i like every thing Just 2 precautions b/c it lie on a mountain, a car is need to reach it. one important note, visitor should inform the management about his expected arrival time. Fabulous view and wonderful people. Wi-fi could have been better . Even if you try really hard to find something, you won‘t. Everything is just perfect! Spotless clean, friendly staff, beautiful View, good wifi. Kitchen equipment could have been a bit better , for example a salad bowl, a corkscrew (happily we brought our own! ), and a larger omelette pan, but all in all perfectly adequate.